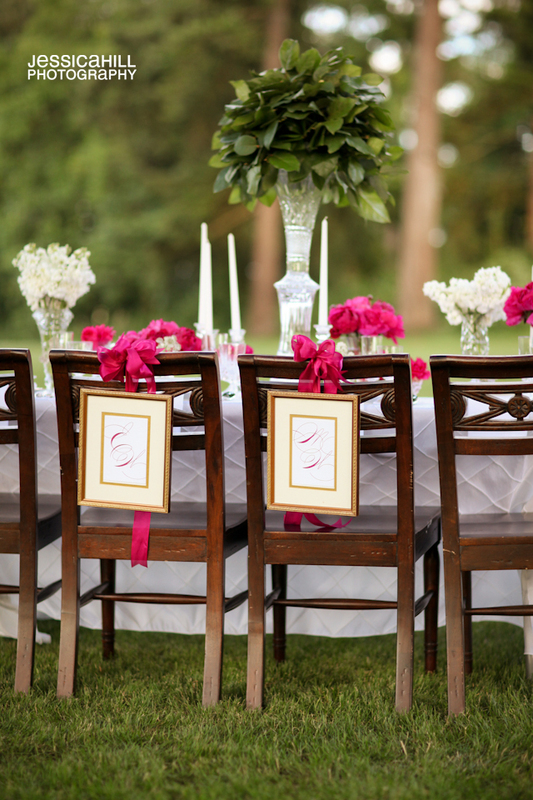 This romantic garden party was shot by Jessica Hill and an amazing group of vendors! 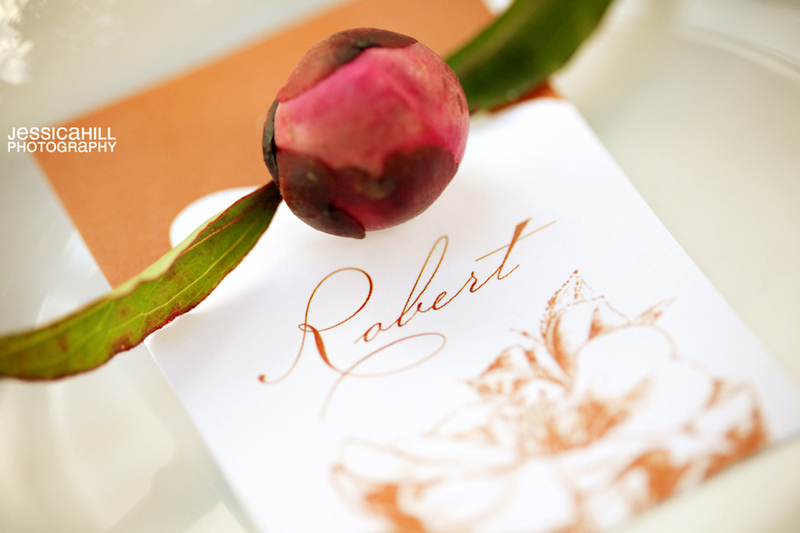 I was so inspired by the bright pops of color, gorgeous flowers, calligraphy, and simplistic beauty. You can just never go wrong with the pretty, can you? Special thanks to Jessica for letting me feature her stunning work. Be sure to check out the amazing vendors that I’ll mention throughout the images! What a great team!!! First up…adore the all greens centerpiece! So fresh! Treats were by Amber at Le Cookie Monkey! The invitation suite (including the lovely wine bottle label) is by Megan and Jen of Hi Friend Design! 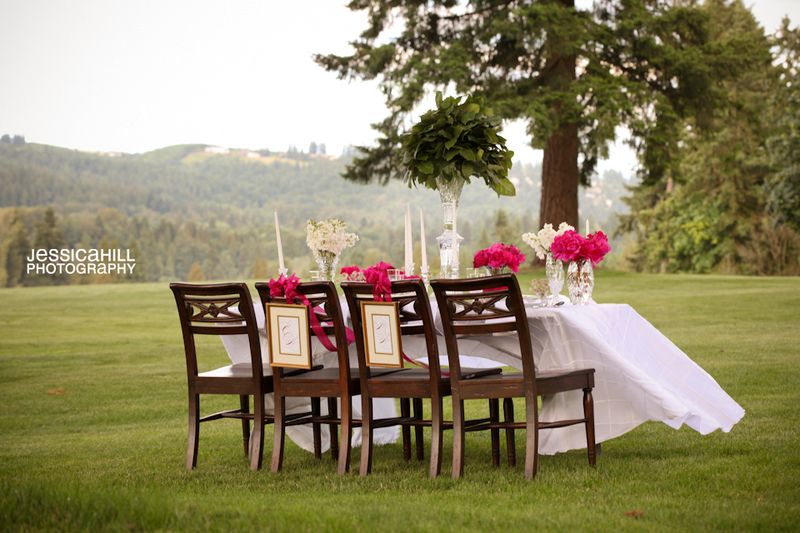 The styling, design and production is by Dani of Weddings Fresh! Giveaway winner will be announced at NOON, pst! 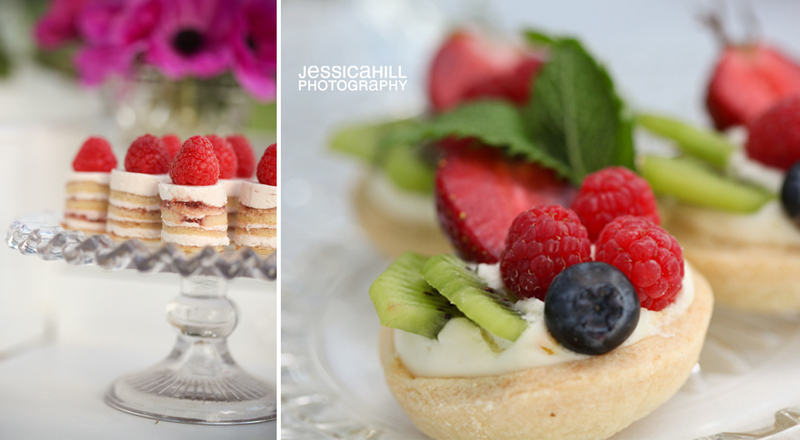 The weather is supposed to warm up a bit this weekend and I think this little dessert photo shoot might offer the perfect recipe for a sunny Sunday brunch! Head on over to Grey Likes Nesting to check out more images and to see the full recipe! Amanda and Eric’s wedding was so idyllic and dreamy. The location at the Madison Hotel in Morristown, NJ really takes things to a whole new level. The chandeliers? Excuse me? To die for. And the live band? I heart. And then of course Elisabeth Millay and Jonathan Young shot the wedding, which means the photos are that much more stunning. I can’t tell you how pleased I am to share this with you. *Quick DIY note: check out how Amanda incorporated that bright yellow fabric throughout her decor. I can hardly imagine something so modern and fresh is often part of the options for you to choose from at most venues. Consider making your own table runners (much like you see here) in order to incoporate your colors and aesthetic. Runners are SOOO super easy to make and if you get a good deal on fabric, rather affordable. And they make a HUGE impact, as you can see here. Here’s a No Sew Table Runner How To if you’re afraid of the sewing machine. There is a quirky little paradox in this wedding world of ours. On one hand, we love to scour the world wide web in search of new ideas and inspiration. BUT, when we see the same ideas circling the blogosphere a few times, it is easy to balk; we get scared away from using some great idea we saw because a few other people already used it and now it’s “too trendy”. This can lead to brides with fabulous intentions to be creative and original, but who are also completely STRESSED! Before the wedding, I worried that our touches were too trendy, and Adam did a great job of reminding me that, save for a few engaged friends, none of our guests troll wedding blogs all day. So, to put it plainly: Trend is all relative! What a comforting thought! With that said, I thought I’d share a few finds for an idea that I STILL love, even though it’s been done. Vintage typewriter = guestbook. I just love that classic type and the vintage look! Found these goodies by using this search on Etsy. My newlywed sister called me a while back asking for inspiration for a blank wall she just couldn’t seem to tackle. We chatted, and did a little surfing and stumbled across this cutie little card from King Popcorn. This baby is HAND EMBROIDERED, which I love. I told her to frame it, and then to add a few other framed pics of her and her new husband’s adventures together: honeymoon, excursions, moving. You name it. A perfect collage. So, it’s not like you’re gonna do the same thing, but what girl in love can resist a hand embroidered card that says, “I love our adventures”? I know I can’t! Speaking of embroidered paper… I’d like to introduce you to my newest obsession. Thread+paper! Here are a few more inspirational finds. Eat your heart out! And CUSTOM hand embroidered initial notecards from Old Fashioned But Good. Excuse me??? Could these not be the BEST place cards/favors at a bridal shower? Stop the train! And… Doth my eyes deceive me??? Five for $5? This can’t be true! I think the last time I attempted to cross stitch, I was in 5th grade and my teacher was forcing arts and crafts upon our entire class. Oh the horror! So that experience may not translate into making one of these myself. Neverthless, by your own needle or credit card, I can’t see how you’ll want to miss out on acquiring a pretty treat like these. Whether it is gift wrap, cards or *gasp* place cards, thread can only make it better!